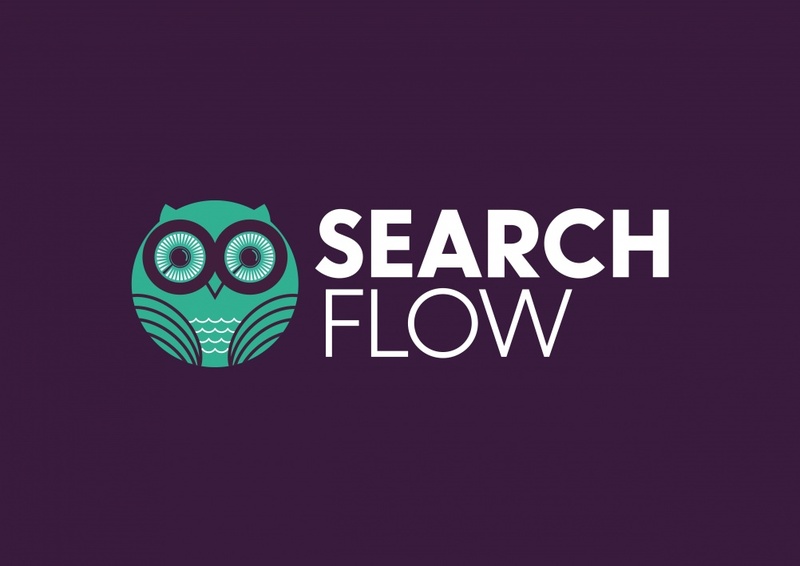 Property conveyancing search provider SearchFlow has been given a new owl brand character as part of a rebrand to differentiate the company from its competitors. 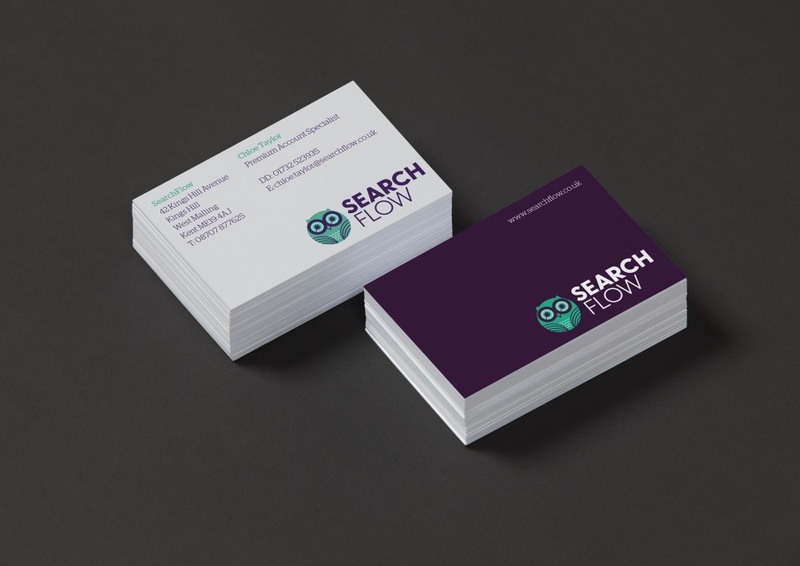 Industry has created an “all-seeing owl” as part of a rebrand for conveyancing search provider SearchFlow, part of the Daily Mail Group. SearchFlow delivers reports, surveys and identity checks to conveyancers across the UK enabling property transactions to be completed. Conveyancers are solicitors who specialise in property law. An owl with magnifying lenses for eyes has been used as a metaphor for the business, given its ability to “skillfully scan the landscape using its acute binocular vision”, according to Industry partner Sholto Lindsay-Smith. 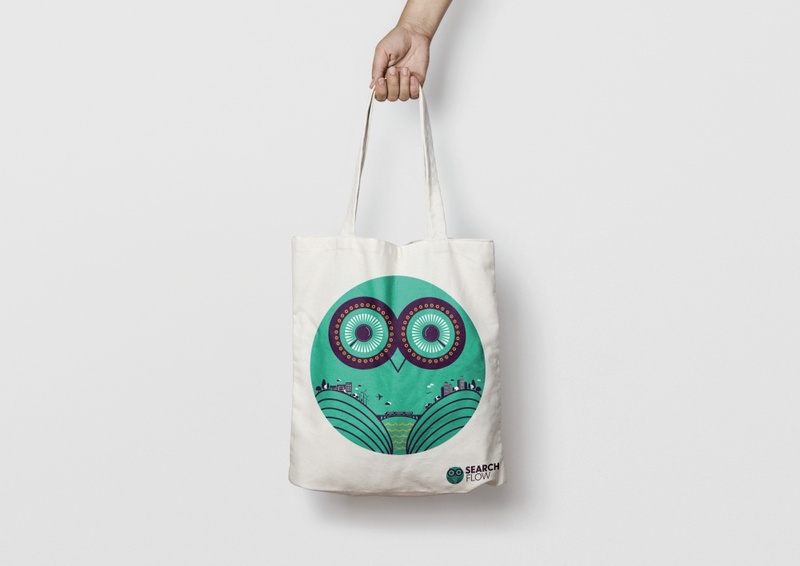 The landscape is reflected in the owl’s wings and an aubergine, teal and white colour palette has been chosen in favour of a corporate navy blue and orange, which was found in the old logo. 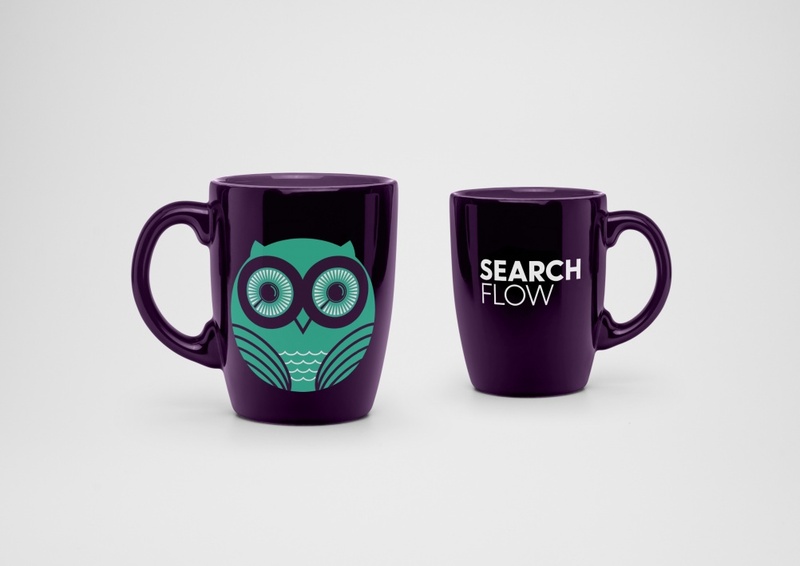 Focus groups, surveys and competitor analysis have helped Industry to identify the top priorities of SearchFlow’s customers, which Lindsay-Smith says are speed, accuracy, simplicity and a personalised service. 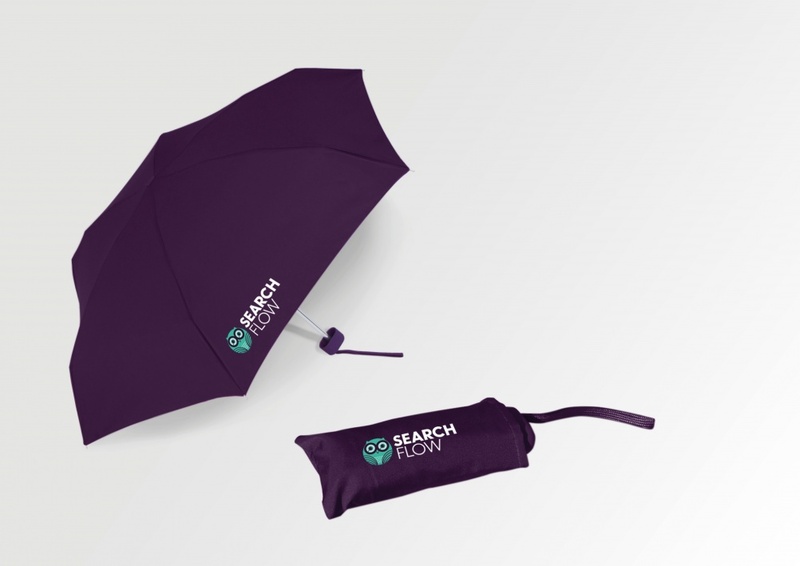 “This brand identity is unique within the property and conveyancing sector, offering a distinctive look and feel which makes SearchFlow instantly recognisable,” says Lindsay-Smith. 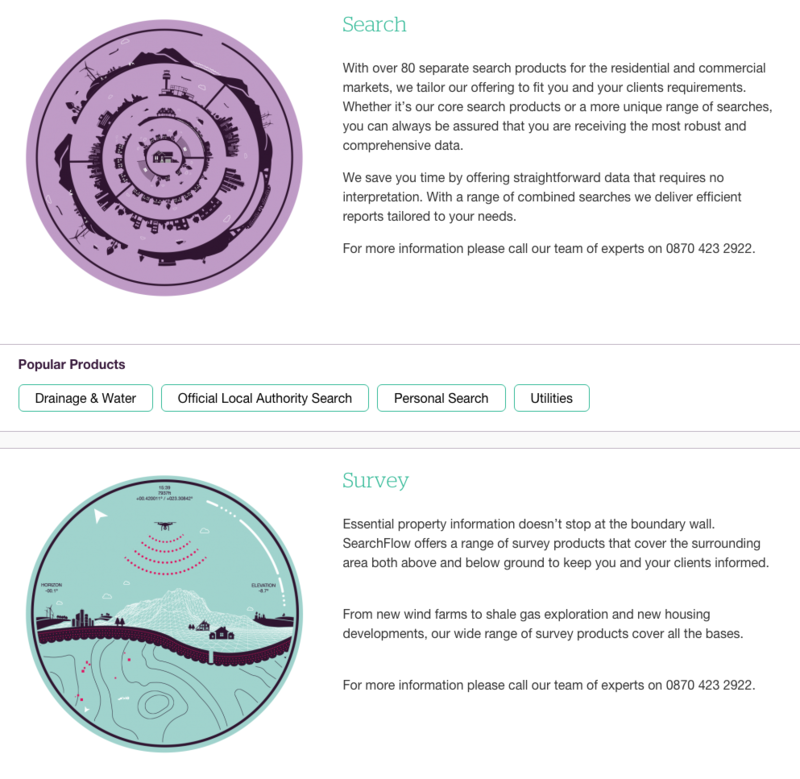 Industry has also designed a new website for the company featuring a search ordering platform, which it says is more intuitive and user friendly and reduces the time conveyancers spend processing searches. 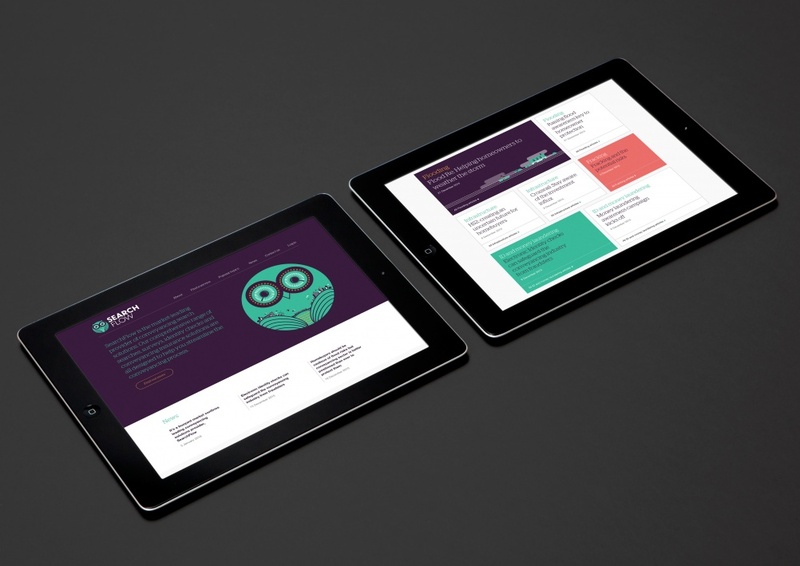 Industry has designed a series of pictograms used across the website.